One part I love about this time of year are the yummy foods and drinks that come out. Pumpkin, as we all know, is a popular one to work with. 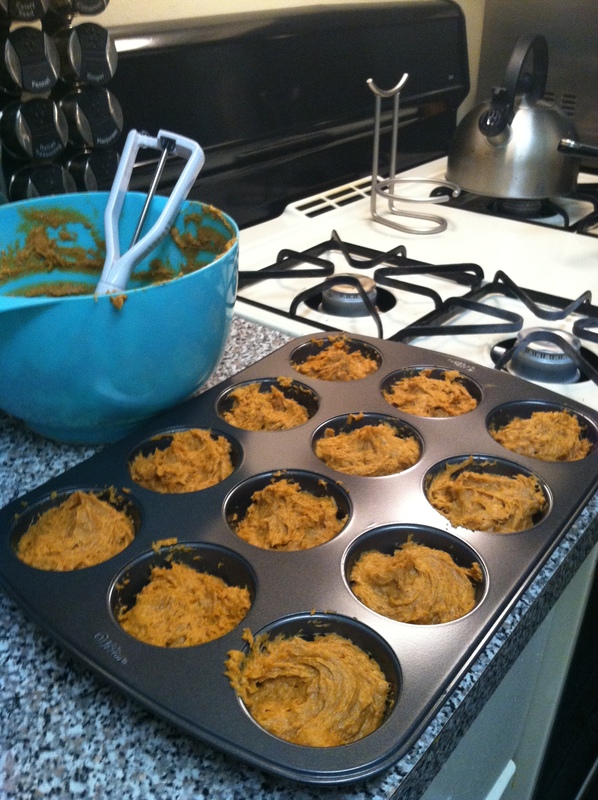 I was very excited to find this recipe on Pinterest yesterday and almost promptly went to get the ingredients. 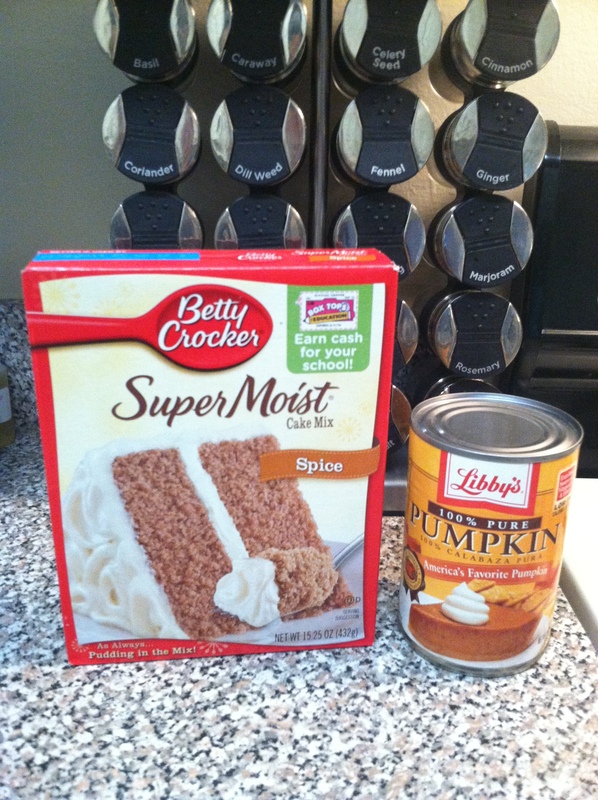 All I needed was cake mix and pumpkin puree! This was so easy to throw together and ended up being scrumptious! 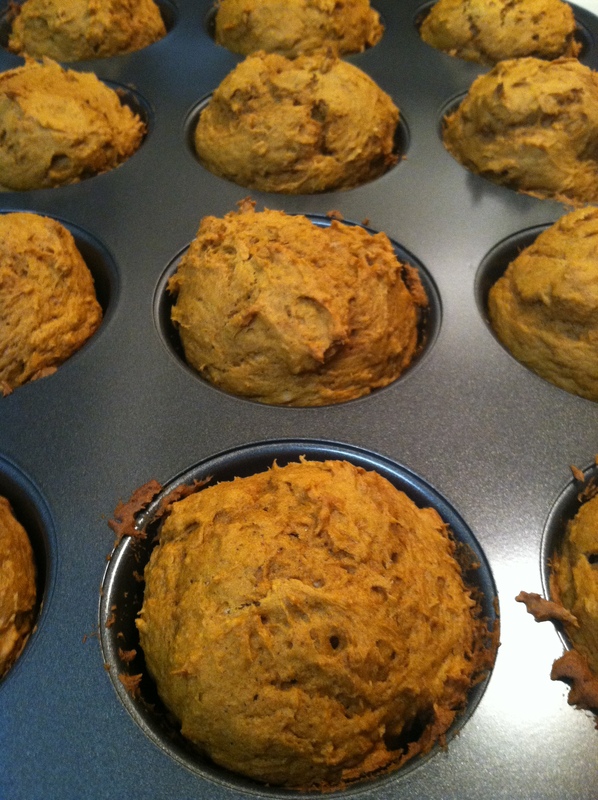 It was almost like a pumpkin bread. The original post calls for Yellow Cake mix, however I read in the comments that it can be a little bland, so I opted to use Spice Cake instead. You could also opt to use Carrot Cake as well. Preheat oven to 350. 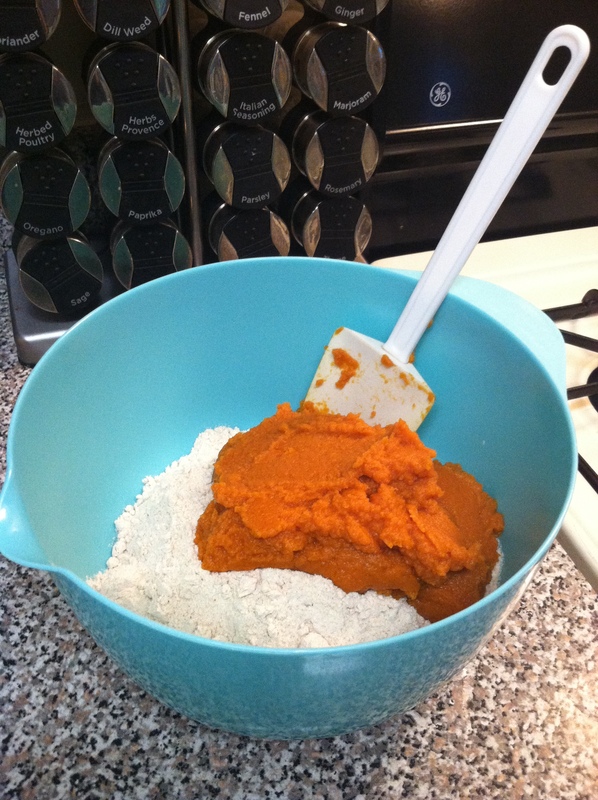 Mix your cake mix and pumpkin puree thoroughly. Scoop batter into pan (don’t forget to grease unless you have a non-stick pan). I also used a small ice cream scoop to fill mine up. Bake in the oven for 25 mintues. My pleasure! They were VERY good. Enjoy!